In addition to custom printing and on-vehicle advertising, Mikas Design design, make and install other forms of advertising and signs. This way we are able to offer you a one-stop advertising solution, ensuring value for money and convenience. LED light displays work in stores and other service premises, as well as various types of events. We offer a range of top-quality LED display systems from the simplest to the most advanced, at very competitive prices, so we will be able to recommend solutions suitable for your specific needs, instal it and, if necessary, train you in operating the system. 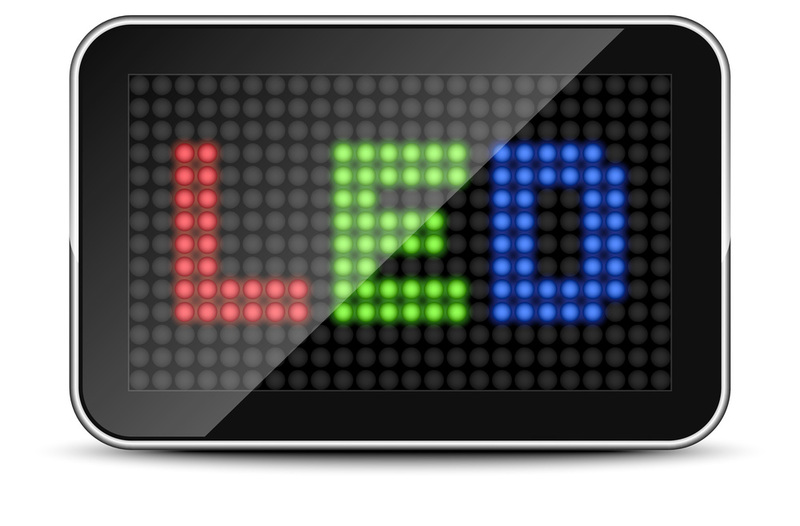 LED graphic displays -- add oomph to your message using animations, choice of colours and font sizes, as well as graphics and simpler videos. Full colour LED video walls and electronic billboards -- the ultimate in LED displays, with fully programmable hi-res graphics and 16.7 million colours, these displays are sure to attract attention, indoors and outdoors. From sophisticated graphics to live streaming video offer huge marketing potential. LED lights display -- everything is clear!LED light displays are a versatile medium, suitable for communication of a diverse range of marketing messages and practical information. Nothing beats a professionally designed and produced display system for effectively presenting your business, its services, products and values. Our display systems are ideally suited for conferences, trade fairs or company events, allowing you to communicate any marketing message that is important to you. We will ensure that the visual solutions -- colours and graphic design -- fit your industry and brand persona, while the large format gives you a lot of possibilities for presenting your message. Easy to transport and store when not in use, and fast and easy to set up on site, the modular structure of our display systems provides for a versatile range of solutions. Whatever we do, we want to do the best job possible and the satisfaction of our customers is our biggest priority. We will carefully consider all your needs, so the finished product will be custom-made for you, with high quality materials and attention to detail. If you need us to develop a graphic design for your sign or display, we will propose at least two visualisations, so you will have a choice of designs. We do more than just signs and display systems. Our comprehensive range of products and services encompasses all types of custom printing and design including banners, flags, posters, stickers as well as vinyl wrap for on-vehicle advertising, and installation and management of advertising on-site and at events.